The family of a man who died after a crash in Dorset have said he was "loved and treasured by all who knew him". 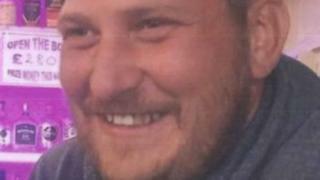 Neil Parsons, 37, from Sherborne, was a passenger in a van which came off the road and crashed at Tiley Knap, Middlemarsh, on 26 January. He was trapped in the vehicle and suffered serious injuries. He was airlifted to hospital where he died. His family said in a statement: "In our hearts and memories Neil will always stay." They added: "Loved and treasured by all who knew him. A very special son, daddy, partner, brother, grandson, uncle, nephew and cousin. Friend to many." The driver of the van, a 43-year-old man from Somerset, was arrested on suspicion of driving offences and has been released under investigation.